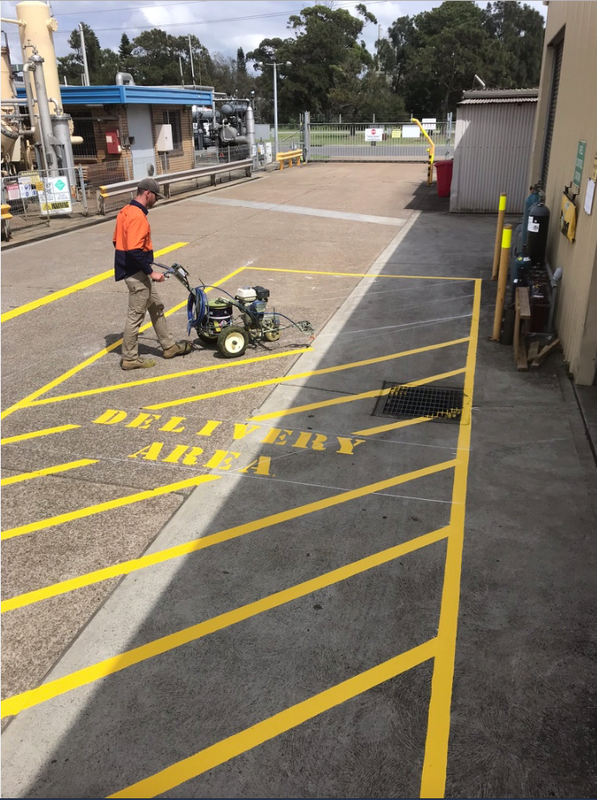 We provide professional-grade line marking for businesses who want to impress their customers and improve safety inside their parking areas and warehouses. From one business to another, we understand the importance of having safe and clear line markings for your customers and staff. Line markings are vital in ensuring the welfare of your customers and clients in parking lots, as well as ensuring a professional image, and as such, we take extreme caution and care when laying down markings. 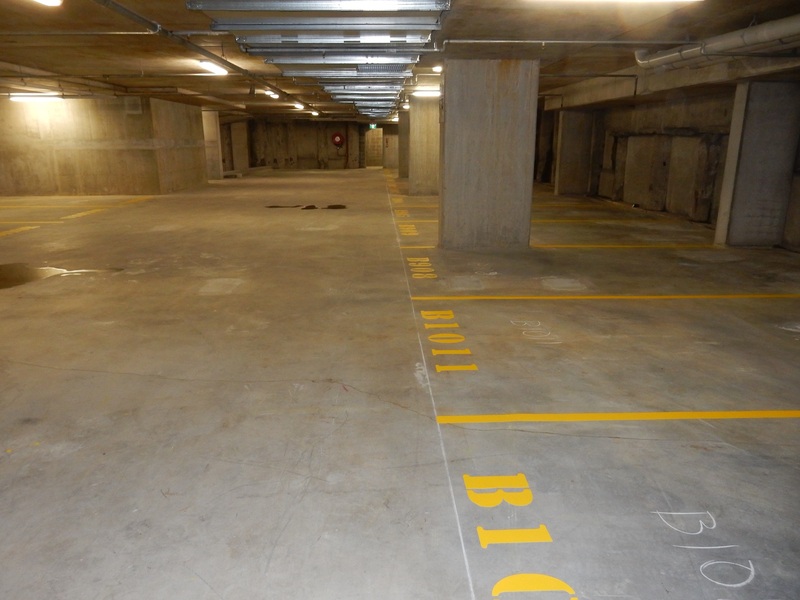 In addition to laying down lines in accordance to a plan, we can also recommend parking lot designs and layouts to suit the needs of different customers, in addition to organising someone to seal the surface after the lines have been laid. Furthermore, if you think your current design is starting to fade, we can swing by and refresh your lot, making it visible once again. If you’re in need of a new parking lot design or simply need someone to trace over an old layout, be it on concrete, gravel or grass, give us a call. 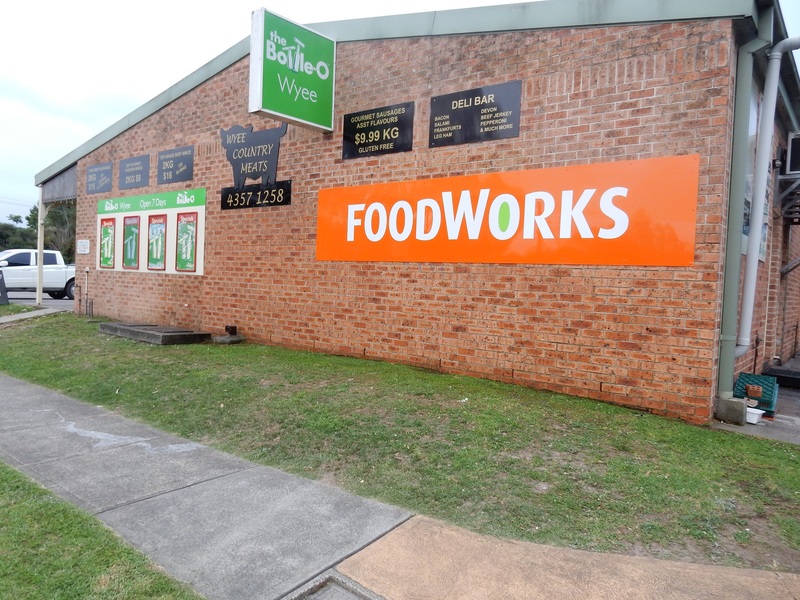 Congratulations on buying a new home in Newcastle, NSW Australia! Of course, the home is new to you, but it’s likely a few years—or decades—old. Now that you’re all unpacked and organised, it’s time to start cleaning so you can make your new house feel like a home. You’ve cleaned vigorously indoors, but have you considered the exterior of your house? It’s very likely that the past homeowners never cleaned it, or didn’t clean it often enough. 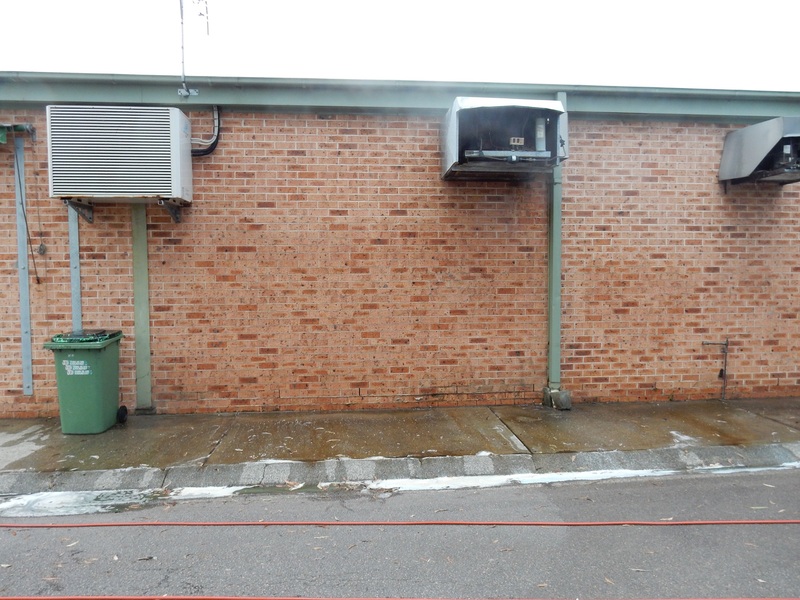 If you look closely, you might notice grime buildup on the walls, stains on the driveway, or even mould in your gutters. Of course, you want to take care of your new house. You want to maintain it so it’ll look great for years to come. You take pride in homeownership. 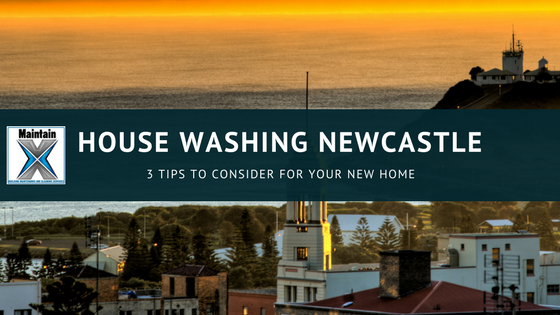 So, it’s time to tackle the house washing of your Newcastle home. Here are some tips to get the job done right. 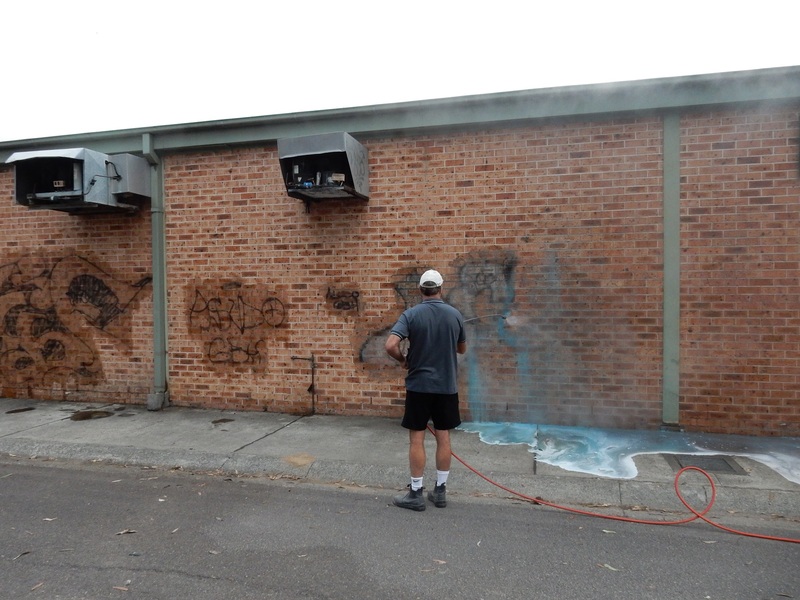 A pressure washer is a key tool you’re going to need when washing the exterior of your home. Although it might seem simple—just point and spray—there are actually many details you need to get right in order to effectively clean the home and avoid causing any damage. First, you’ll need to ensure you’re using a professional-grade power washer. Many of the ones you can buy at the local hardware store will be ineffective for such a big job. Further, you’re going to need to get the pressure and the distance just right as to avoid doing harm to the materials. You’ll also need to consider which cleaner you’re going to use (non-toxic is best) and which solution-to-water ratio you need. In addition, using the correct sweeping technique will ensure you get an even clean, and you will also need to be more careful around sensitive materials, such as stucco, wood, and masonry, or costly damage could occur. It’s always best to start with a lower pressure and work your way up. Use a 40-degree nozzle to begin with. Start spraying at a downward angle, keep the hose moving at all times, and test a small section of the home first. You should also avoid cleaning windows with a pressure washer—it’s easy to break the glass if you’re not careful. If your new house is made of stucco or brick or has wood shingles, it may be best to avoid the pressure washer altogether. When done correctly, pressure cleaning can not only make the exterior of your home look like new, but it can also be used to clean up dirt and grime on your fence, shed, deck, driveway, and walkways as well. The difference will be astounding. If the previous homeowners neglected the gutters, you will have a big job ahead of you. Not only will there be waste in there, but the gutters may be mouldy as well. But it’s important to clean your gutters to ensure they function properly and don’t become a fire hazard from all the dry leaves. To eliminate the mould, you’re going to require a special chemical that’s going to be able to kill the spores. Not only will this remove the mould, but it will also extend the lifespan of your gutters. 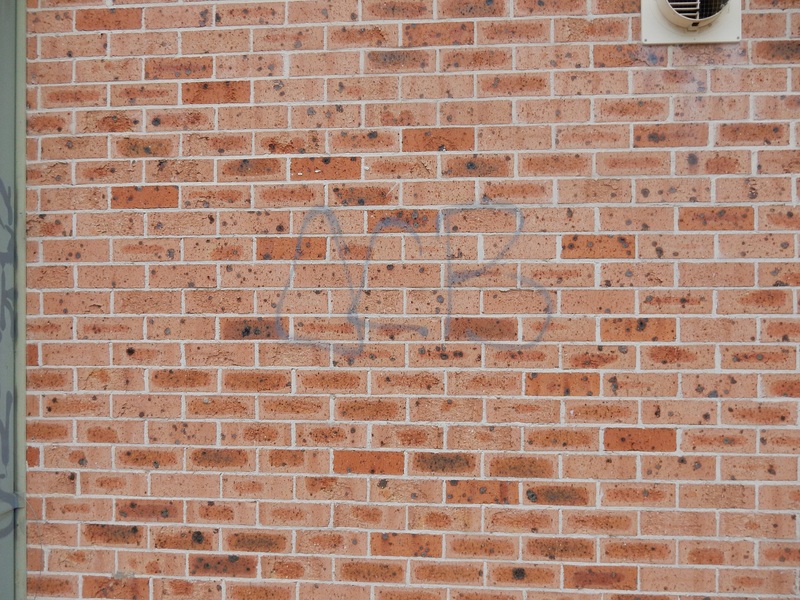 As you can see, house cleaning in Newcastle can be a tough job. If you don’t have the right equipment and cleaning supplies, you could have trouble removing stubborn dirt and stains, as well as killing mould spores. Without the proper knowledge and experience, you could also cause damage to your new home. That’s why it might be best to consider hiring professional exterior cleaning experts to pressure wash and clean your gutters.